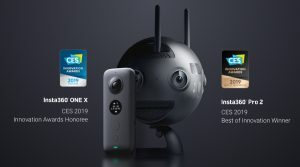 Insta360 announced today that two of its cameras, the Insta360 Pro 2 and Insta360 ONE X, have been honored with prestigious CES Innovation Awards for 2019. The Insta360 Pro 2 won the top prize, the Best of Innovation Award, in the Digital Imaging / Photography category. A groundbreaking tool for professional VR filmmakers, the Pro 2 earned the highest rating in a category that includes everything from top-of-the-line DSLR’s and cinema cameras, to action cameras and laser scanners. 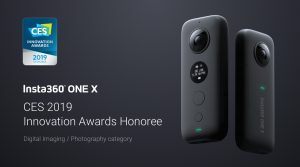 The Insta360 ONE X, which uses 360-degree technology to reinvent the action camera, was chosen as an Innovation Awards Honoree in the same category. The annual CES Innovation Awards are judged by a preeminent jury of independent industrial designers, engineers and members of the tech media. The Insta360 Pro 2 and ONE X will be displayed at the Innovation Awards Showcase, as well as at Insta360’s booth, at CES 2019, which runs Jan. 8-11, 2019, in Las Vegas, Nevada. Released in August, the six-lens Insta360 Pro 2 set a new standard for professional VR cameras, tackling bottlenecks at every step of the VR production workflow. It impressed CES judges with cutting-edge 8K 3D imaging and a range of innovations – such as gimbal-free FlowState stabilization and streamlined editing in Adobe Premiere Pro – that flatten the learning curve for VR production and let filmmakers jump into the new medium with the skills they already have. The Insta360 ONE X, launched in October, is a new kind of action camera. 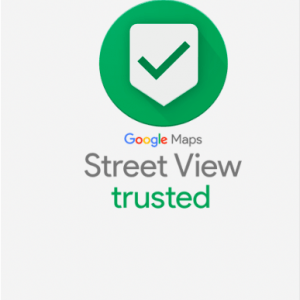 It uses the unique advantages of 360-degree capture –including advanced stabilization and the ability to reframe a shot after the fact –to revolutionize the way we record and share experiences. 2019 marks the third consecutive year that Insta360 has been honored by the CES Innovation Awards and the first year that it has won the top prize, a Best of Innovation award. Today’s win comes on the heels of two other industry awards for the Insta360 ONE X and Pro 2. 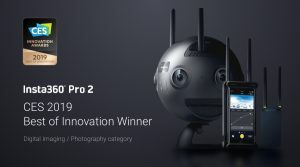 In October, the Pro 2 was chosen as the Best 360 Camera at the prestigious Lucie Technical Awards, while the ONE X picked up the Best of Show Award at the Visual 1st Conference. 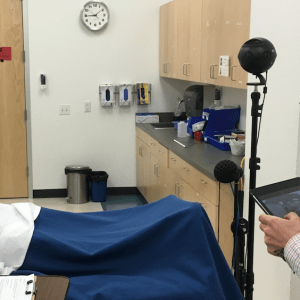 VR Training Is Revolutionizing Nursing Education: Will It Save Lives?